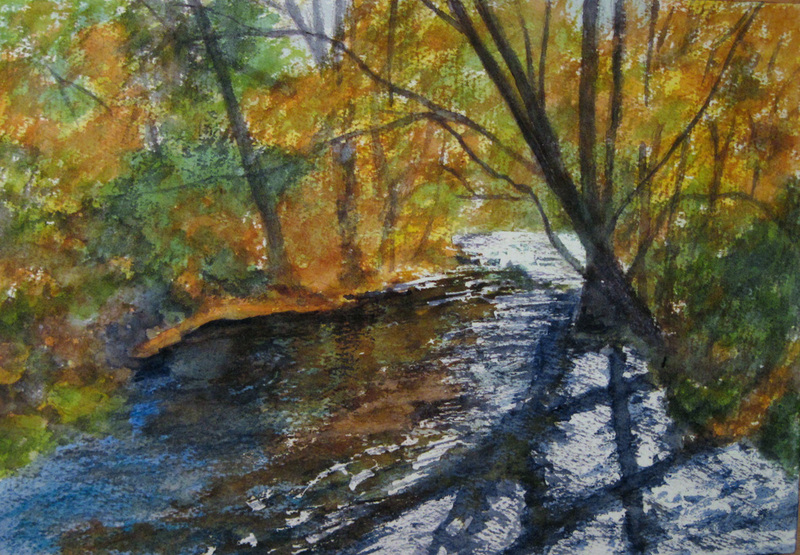 All paintings in this gallery are watercolors. 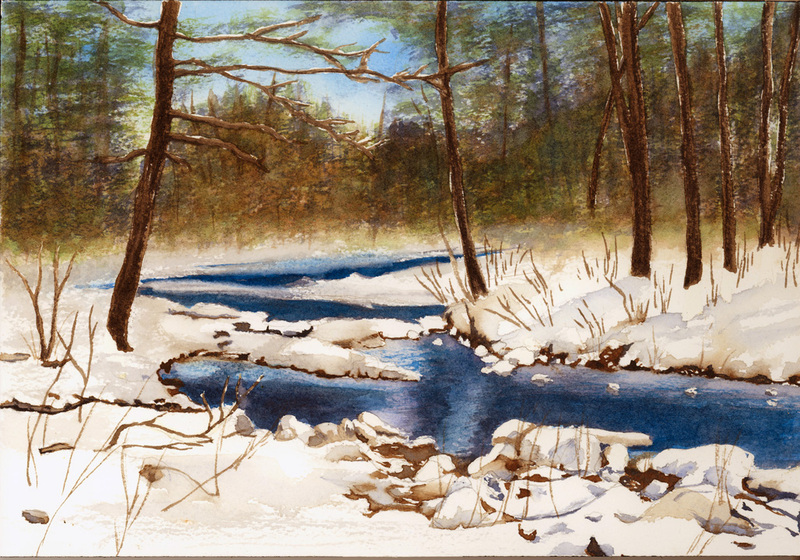 All are matted and framed, with larger paintings in metal frames which complement the colors in the paintings, and smaller ones in natural maple wood frames. 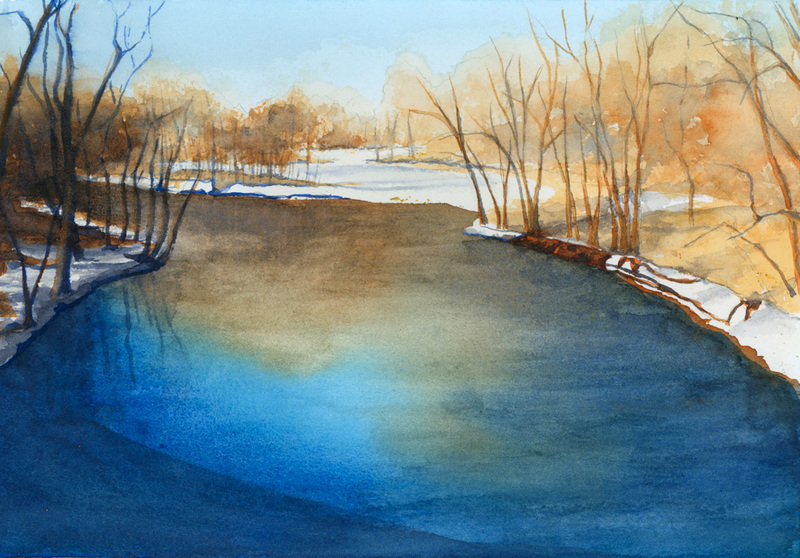 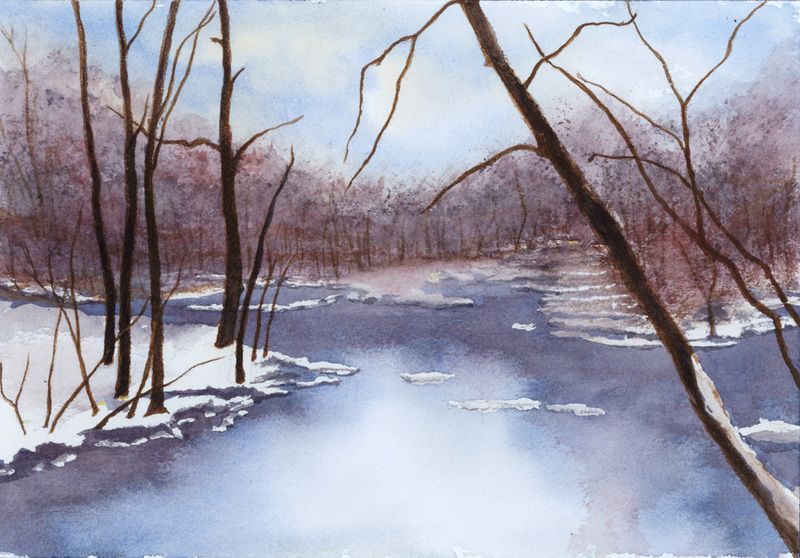 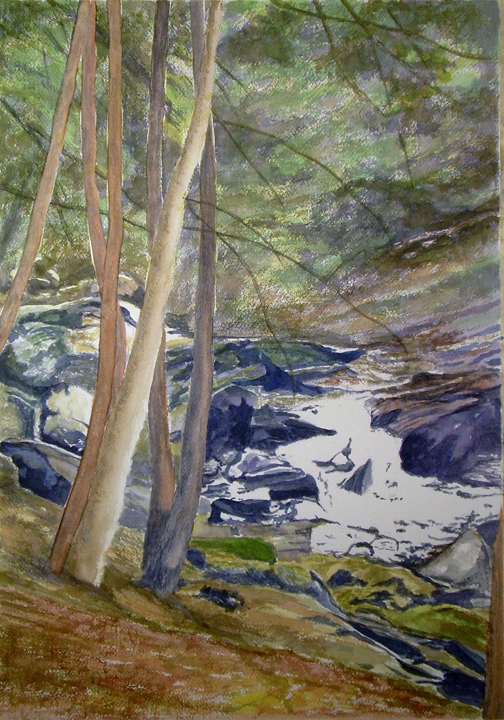 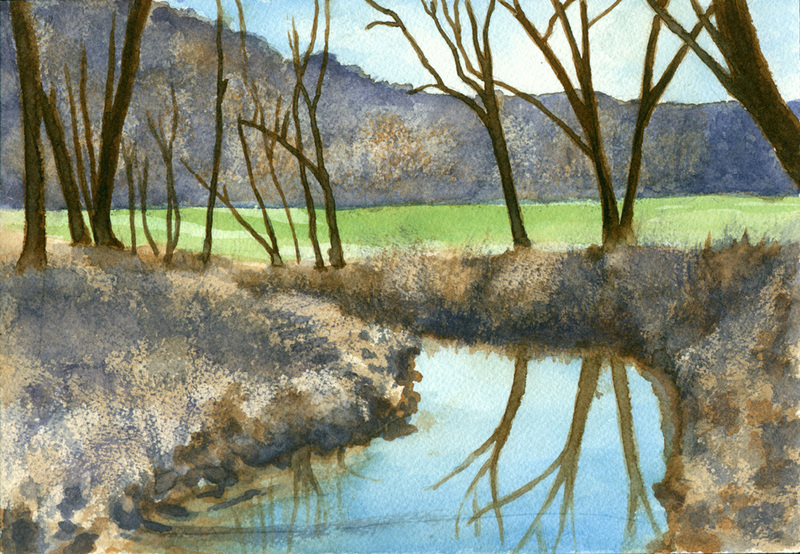 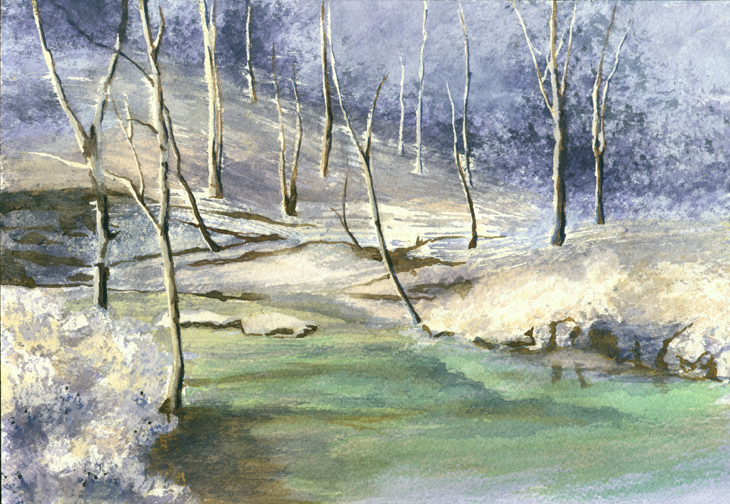 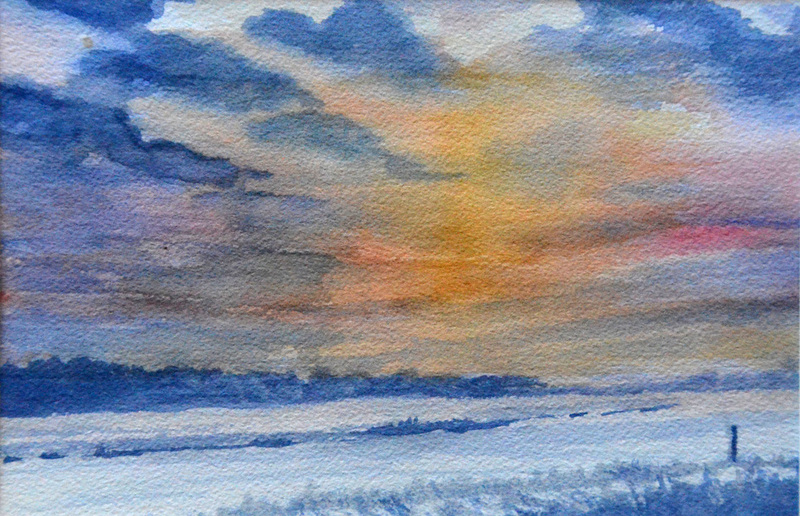 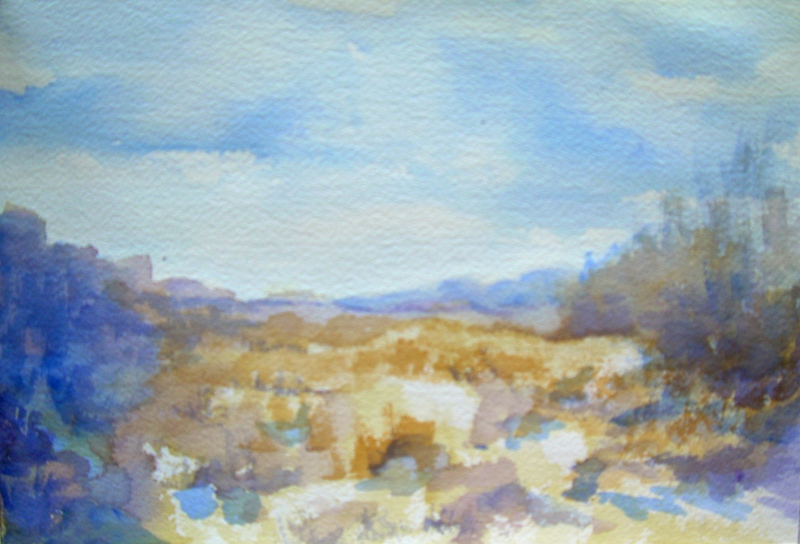 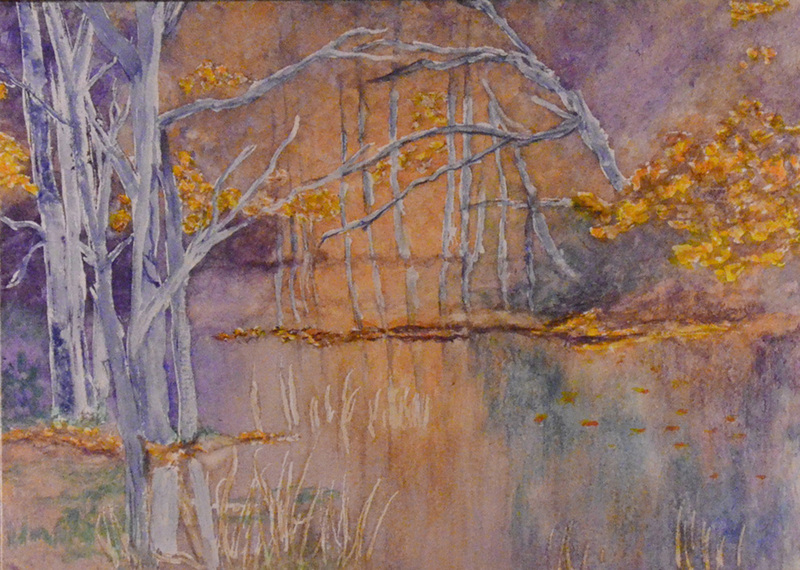 My love of seasonal paintings shows itself in the watercolors, just as in the oils. 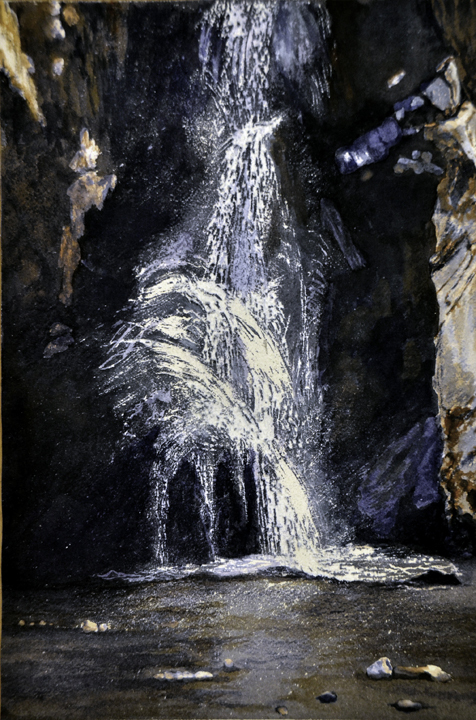 If you have previously viewed the oil landscape gallery, you will probably notice that some of the watercolors look a lot like the oil paintings. 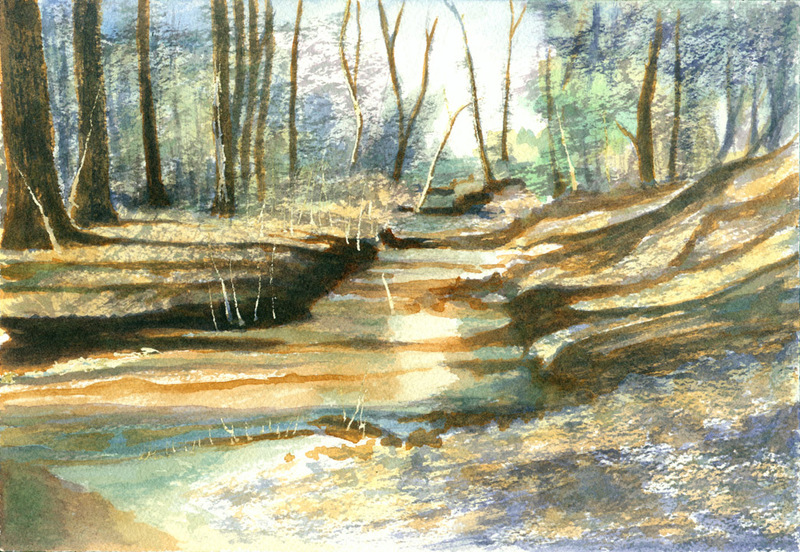 That's because I occasionally do a small watercolor study to try out the composition and colors. 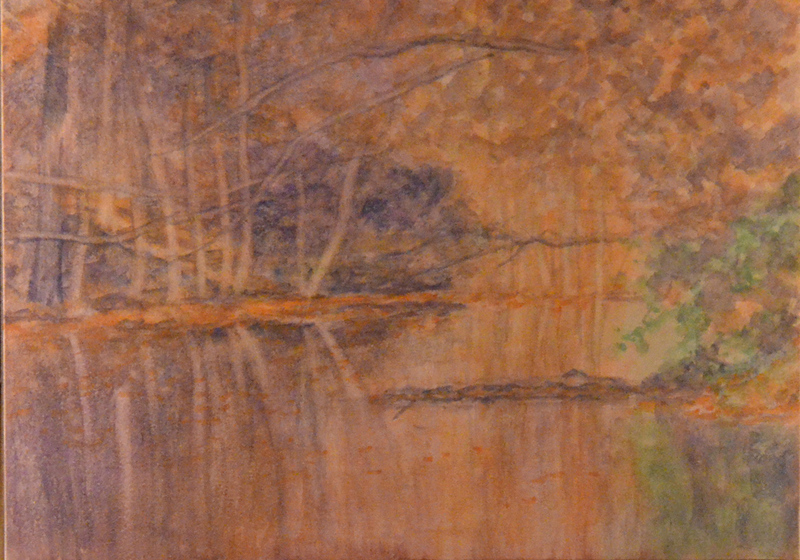 If everything works out nicely, then I do a larger oil painting. 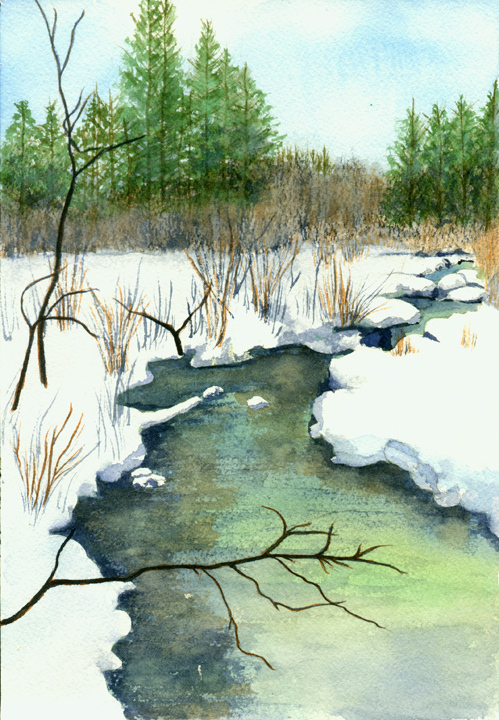 This is actually to your advantage if you are on a budget...it's quite likely that an oil painting you have your eye on but can't afford right now might just be available in a much more economical watercolor version! 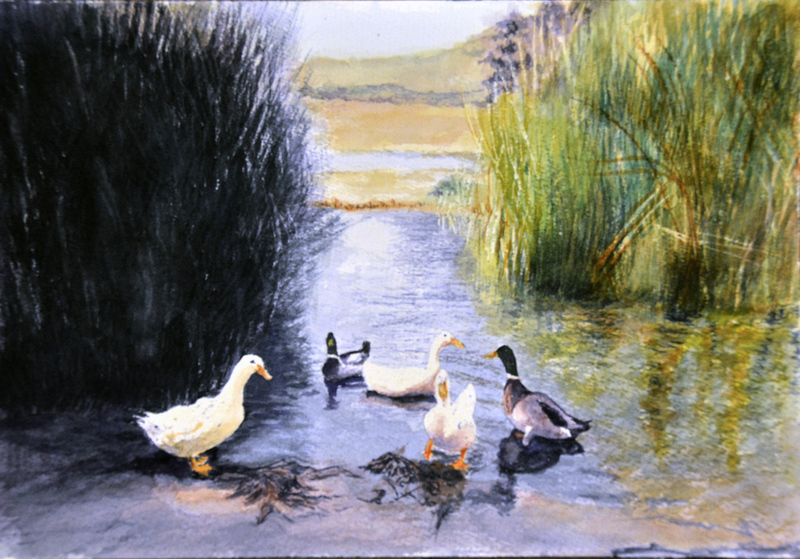 You can click on each painting individually, or view them as a slide show.